Courtesy of EXP Realty Piedmont. PRIVATE WATERFRONT RETREAT!You Will NOT Want to Pass up on this Magnificent 1 of a Kind Custom Built Timber Home on Private Gated Waterfront Peninsula!~No Expense Spared Here!Main Level Features Great Rm w/Spectacular 3Sty Stacked Stone Fpl & Wall of Windows~Loaded Gourmet Chefs Dream Kitchen w/Custom Built Cabs~Top of the Line SS Appl~Gorgeous Granite Counters & Beverage Cooler~Kit Opens to Beautiful Screened Porch w/Built-in Vented Coyote Grill/Wet Bar w/Grnt Cntrs/Bev Cooler~Master Retreat on Main w/Luxury Bth~Lower Lvl Living Includes Add x2019;l Lvng Rm w/Fpl & Inlaid Tile Flrs~REC/Workout or Bdrm w/Sauna & Wet Bar w/Bev Cool~Offc w/Beautiful Views of Lake~Fl Bth & Tech Rm Complete Lwr Lvl~Top Flr w/2 Hge Bds~Loft & Lux Bth~Outdoor Lvng w/Hot Tub~Stone Walkway Leads to Custom Dock w/2 Lifts/Trex Decking~New Fenced Pet Area~Paver Driveway~Garage w/Epoxy Flrs & Built-ins~Irrigation w/own Well~Smart Sec Sys~Surr Sound Inside & Out~The List is ENDLESS! !Furnishings and Watercraft Negotiable. Please, send me more information on this property: MLS# 3484964 – $1,595,000 – 4818 Littlejohn Point, York, SC 29745. 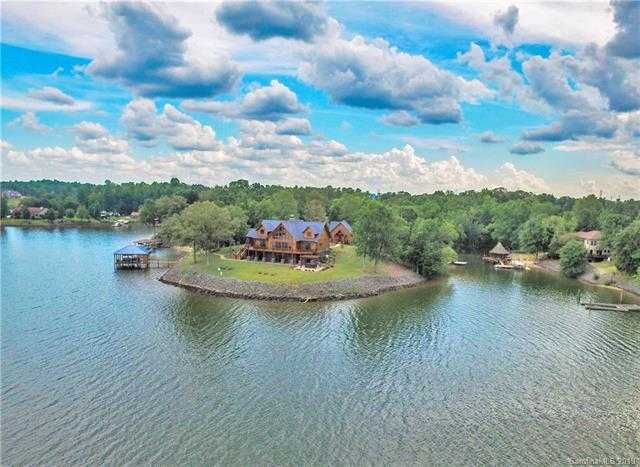 I would like to schedule a showing appointment for this property: MLS# 3484964 – $1,595,000 – 4818 Littlejohn Point, York, SC 29745.